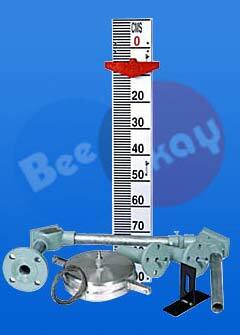 The Tank Level Gauges that we offer are of the Float and Board Level model. These gauges can be used as a water level indicator in different types of tanks such as storage tanks, fuel or oil tanks, water tanks and overhead tanks. We guarantee that the good quality products that we offer are resilient and will provide accurate and precise readings for a long time. Model - Float and Board Level Gauge-Indicator to be used for Stores Tanks, Fuel oil tanks, Water Tanks, Over Head Tanks.